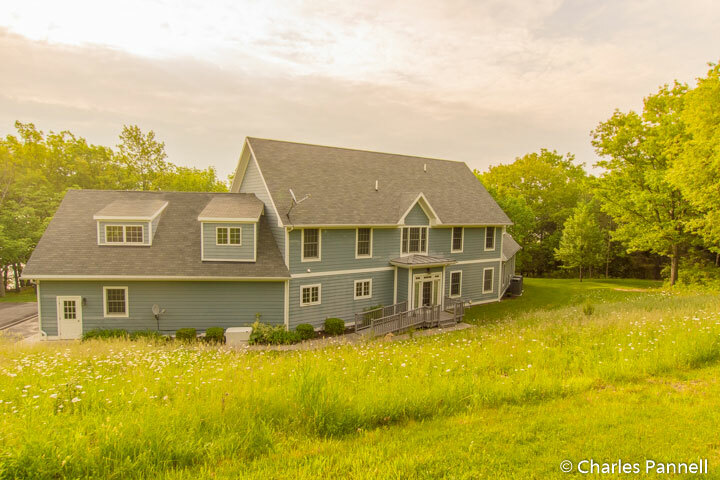 Located in the heart of New York’s Finger Lakes Region, the Pearl of Seneca Lake (www.thepearlofsenecalake.com) is the retirement dream of Peter and Mary Muller. Their dream began some 24 years ago when the Mullers purchased 14 acres of lakeshore land at Seneca Lake. Over the years they camped out there, and in 2005 they finally built their four-room inn. 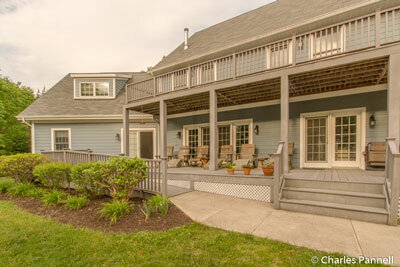 And the good news is, their inn is a good choice for many wheelchair-users and slow walkers. Parking is located in a gravel area across from the inn, and since it’s gravel it’s not striped. That said, there are only four rooms at the inn, so there’s plenty of room to park a ramped van. It’s a bit uphill to the front door from the parking lot, but there is a paved drop-off area next to the garage, with level access over to the front door. There is a slight lip at the front door, with barrier-free access to the living room, kitchen and dining room. The accessible Merlot Room is located at the end of the hallway, and it features wide doorways and ample room for a wheelchair. It’s furnished with a 25-inch high queen-sized bed with wheelchair-access on one side, a dresser, and a table with two chairs. There is also a refrigerator and a microwave in the room. 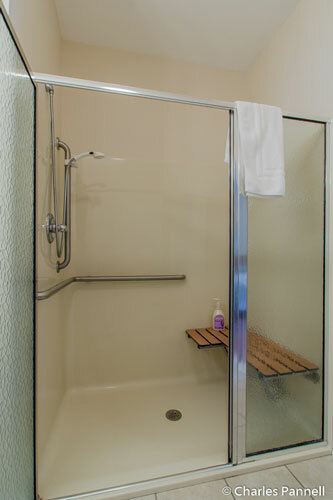 There is level access to the bathroom, which is equipped with a roll-in shower with a fold-down shower bench, grab bars and a hand-held showerhead. There is a slight lip on the shower, and the shower bench is positioned so that a direct transfer from outside the shower is not possible. That said, this setup will definitely work for slow walkers, part time wheelchair-users and people who have assistance. 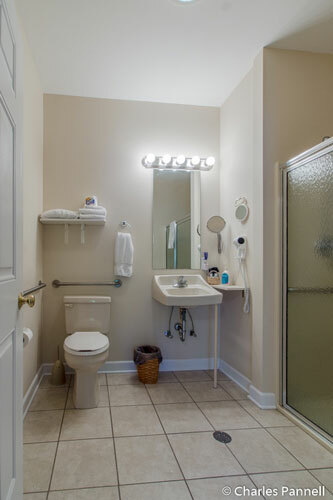 There are also toilet grab bars located on the back and right walls (as seated), and the bathroom has a roll-under sink. By far, my favorite feature of this rural retreat is the back deck, as it’s very quiet and offers a nice view of the lake. Truth be told, I was so relaxed there that I fell asleep in a comfortable Adirondack chair one afternoon. There’s a door that leads from the Merlot Room out to the deck, and although it has a slight lip, it’s doable for most people. There is also ramp access down into the yard from the back deck. Mary serves up a full home cooked breakfast every morning, and with advance notice she can even prepare some yummy gluten-free baked goods. There’s barrier-free access to the breakfast area, or if you’d prefer a little privacy, you can also arrange to have breakfast in your room. 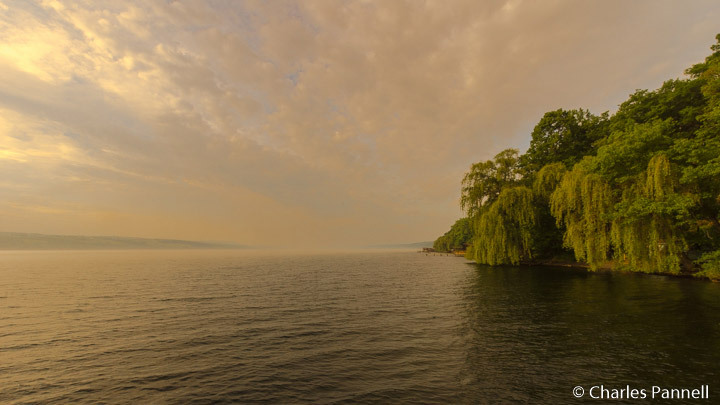 The Pearl of Seneca Lake is the perfect place to relax and decompress. It also makes a good home base for a wine tasting weekend, as the Finger Lakes region is just packed to the brim with wineries. Hickory Hollow Wine Cellars (www.hickoryhollowwine.net) offers a variety of sweet and dry red and white wines, while Fulkerson Winery (www.fulkersonwinery.com) boasts an impressive selection of Rieslings. In addition to wine, Rock Stream Vineyards (www.rockstreamvineyards.com) also sells grappa and grape brandy, while the Fruit Yard Winery (www.fruityardwinery.com) has a good selection of fruit and grape wines. Not only do these wineries each have their own distinctive personality, but they all also feature good wheelchair access. Be it wine tasting or just a little relaxation, the Finger Lakes Region is just what the doctor ordered. 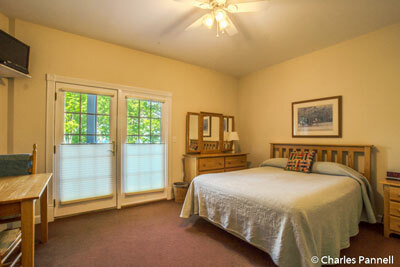 And the Pearl of Seneca Lake is the perfect place to enjoy all that the area has to offer. ‹ Roughing it in Style in Eastern Kansas	› Hit The Beach!